There's nothing better when you travel than having a friend in town to give you the insider tips only a local would know. Most of us don't have friends everywhere on our travel bucket lists. But we do have Monograms. Monograms tours take the best elements of traveling on your own – and the best parts of traveling with a tour. The secret sauce is the Monograms Local Host. They meet you and transfer you and from the airport, port, or station, take you on a tour of your destination to get you oriented with VIP access to some attractions that allow you to skip the lines of independent travelers… and the Local Host is even available during the rest of your visit to answer questions and give you tips about other things to do to personalize your vacation so it's all you want it to be. We've strung a couple of Monograms tours together to make a longer trip. And we've taken a Monograms tour of Amsterdam as a pre-cruise extension of an Avalon river cruise in the Netherlands. 1. 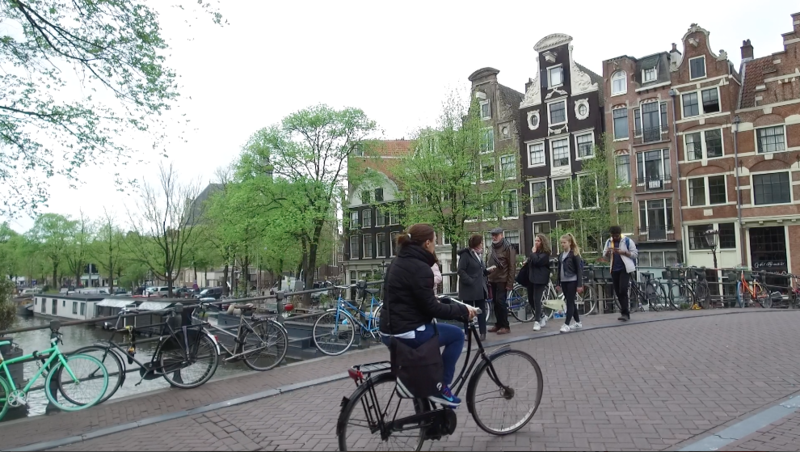 Lynn: Amsterdam is on a lot of travel bucket lists and many people have a checklist of places they want to see and things they want to do when they visit Amsterdam.What is the neighborhood or experience that might be over-hyped now… and visitors could skip? Monograms Local Host: Skip Dam Square & Damrak Area.It's way too crowded and is a very tourist-y area where the shops & restaurants target tourists.You won't find authentic Amsterdam here. 2. Lynn: Is there a less-famous district where you can still see how real locals live today? 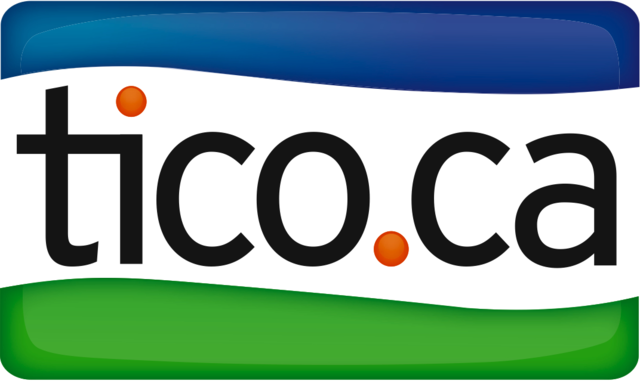 Monograms Local Host: Yes!Travelers can experience real local lifestyle. Explore the Jordaan district, the Pijp district and Amsterdam Tower, they are up and coming and not so famous yet. Go to the new Food Hall! Take a train to Zandvoort, the beach, from Central Station, which is next to the Double Tree Hilton Hotel we use on Monograms tours. 3. 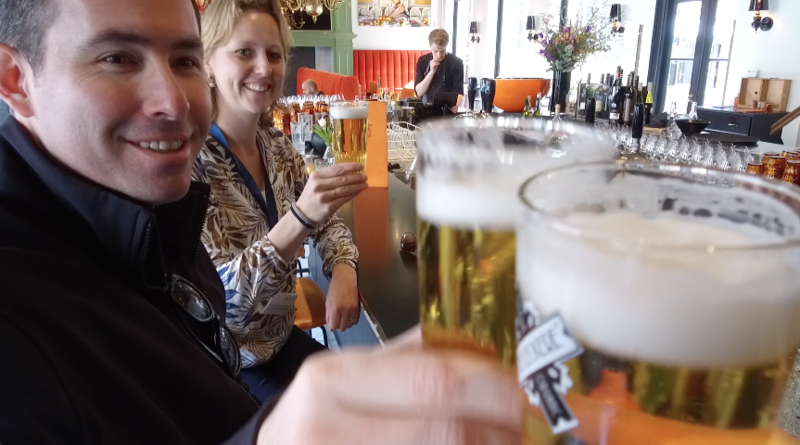 Lynn: When you take visitors on their private Monograms tour, what is the thing about Amsterdam that surprises first-time visitors the most? Monograms Local Host:People can't believe all the bicycles!There are more bicycles in Amsterdam than people.It's a huge cycling culture and it's right in front of you from the moment you arrive in Amsterdam. 4. Lynn: Many people might be intimidated to try cycling in a city with such aggressive cyclists. If we don't want to bicycle ourselves, or take a break from walking, what is the best way to get around? Take the tram (streetcar).They are efficient, take you anywhere in town, and easy to figure out. The next best thing to taking a bike yourself might be a bike taxi, but be careful which company you use – ask your Local Host or hotel concierge to recommend one. Hop-on hop off canal boats are such a unique Amsterdam experience. 5. 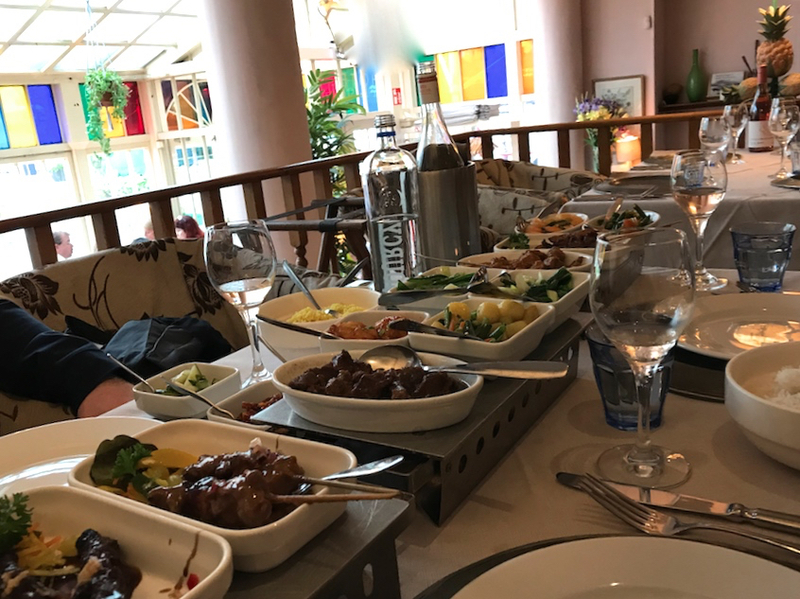 Lynn: Every time I come to Amsterdam I make sure I reserve one evening for Rijstaffel.What are other local food experiences or dishes you must not miss when you are in AMS? 6. Lynn: How about drinks?It seems everyone takes the Heineken tour. 7. Lynn: There's a lot of Dutch food I still haven't tried. What is the most unexpected culinary tradition in AMS you have a hard time convincing visitors to try? 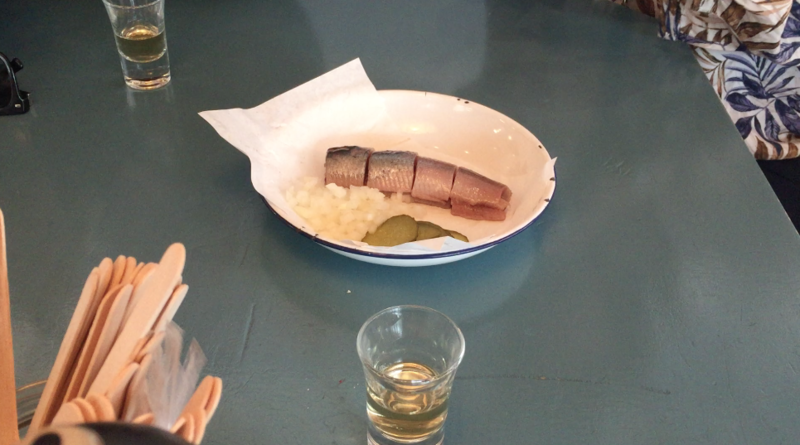 Raw herring.Everyone is afraid to try it! You eat it with pickles and onions and it's always more delicious than visitors expect. The dutch like to eat “salt liquorice” which guests don’t like at all!!! But you should still try! 8. Lynn: Amsterdam has many world-renowned museums but some people avoid them because of line- ups or miss them because they haven't planned ahead.Do you have any tips? Monograms Local Host: There are so many museums in Amsterdam, but these are among the most popular and most busy, and some of these tips apply to many museums not just in the Netherlands, but everywhere. Getting the tickets for Rijksmuseum sometimes can be a challenge, but it’s included in the Monograms city sightseeing tour and so our guests skip the line. Anne Frank: book the tickets months before, or go after 3:30 pm if you don’t have tickets and you can just walk in. The best time to visit Anne Frank house is actually at 6 pm, it is open until 9 in summer months and then there are almost no visitors. Van Gogh Museum: you can only book tickets online, which is easiest to do from home before you travel.Choose your window very early or very late in the day to be sharing the museum with the fewest other fans of the artist. 9. 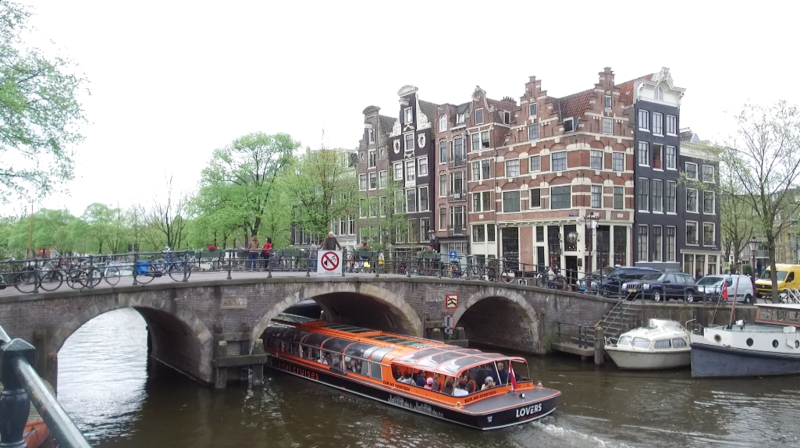 Lynn:I love Amsterdam canal cruises, but I know some people skip tours and like to explore on foot.Do you think people should always take an Amsterdam canal cruise? Monograms Local Host: Amsterdam is a city of canals – they are maybe more important than even the streets. 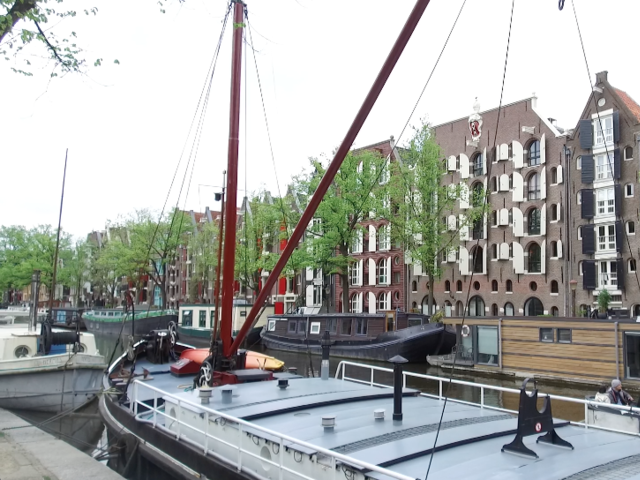 The best way to see Amsterdam is from the water – it gives you the best perspective of the beauty of the canal houses and it is the way to get a good idea of the city & lay-out of the city. A canal cruise is a great orientation, after that you know which places you would like to spend more time in. 10. Lynn: Every city has café's and bars, markets and parks that can entertain you people watching for hours.Where are your favorites? 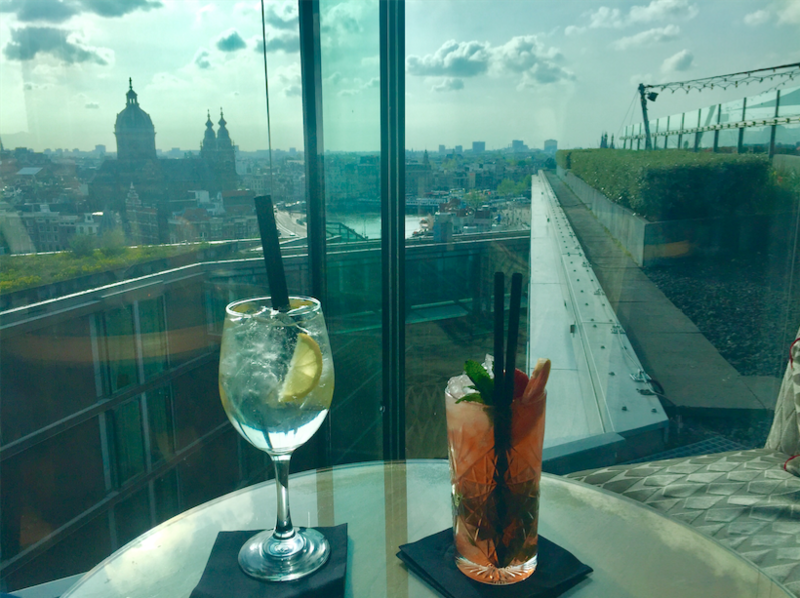 And the Sky Lounge bar at Double Tree Hilton is always buzzing and has the best views of the city.